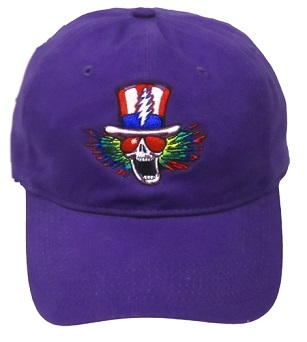 This purple Grateful Dead baseball style hat is embroidered with the Psycle Sam design. Great detail derived from the high stitch count on this classic Grateful Dead image. This is a 100% Cotton twill cap with an adjustable strap. One size fits most. Officially licensed Grateful Dead merchandise.